THE WRITING is on the wall for Fonterra’s chairman John Wilson, his board and management; fed-up farmer shareholders are demanding changes. The co-op’s board and management have again been caught out of step with the owners of the business; it seems the TAF debacle five years ago has been forgotten. Last week nearly 54% of Fonterra shareholders voted to reduce a bloated board from the current 13 to nine. Voter turnout was higher than in previous polls: 65% of farmer shareholders representing 73% of the co-op’s total milksolids had their say. 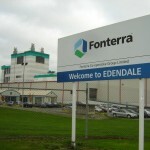 While the proponents of change – former directors Greg Gent and Colin Armer – fell short of the 75% support needed to force amendments to the constitution, the result is sending shockwaves through Fonterra. A majority of farmers defied a directive from the board and the Shareholders Council that they vote against the Gent/Armer resolution – a slap in the face for Wilson, the board and the council. It poses bigger questions for the council, which represents grassroots Fonterra farmers; did they blindly follow the board in urging farmers to vote against the resolution? And how can they now claim to represent the views of all shareholders when 54% disagree with them on the crucial issue of governance and representation? For some Fonterra farmers the council has been guilty in the past of acting as a mere puppet of the board. Last week’s vote shows farmers no longer condone such behaviour. The board and council are promising to embark on a consultation process; their problem is the groundwork has been done. To their credit Gent and Armer mounted a clever campaign, taking only a few weeks to announce their resolution and visit farmers around the country to garner majority support. A majority of farmers have made up their minds; they believe Fonterra’s future lies in a smaller, leaner and fitter board. The board and council have two choices: either convince shareholders that Gent and Armer are wrong or recommend a nine-member board as agreed by a majority of farmers. A smaller board will mean new director elections, possibly in the second half of next year. With the Gent and Armer camp already commanding 54% support they are strongly positioned to grab control of the board, surely signalling the end of Wilson and his faction’s reign. And the new board will be keen for a clean start; chief executive Theo Spierings’ tenure may also be under threat. 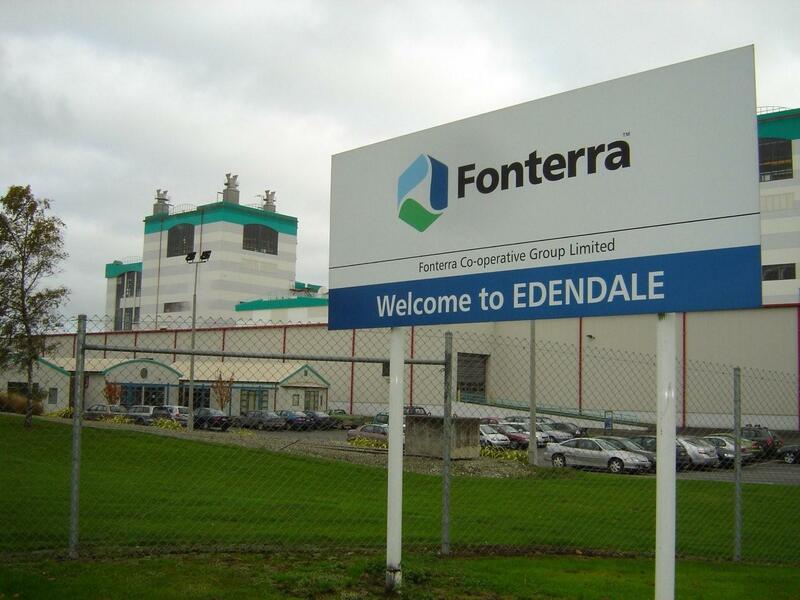 Fonterra is at crossroads and the next few months will decide where the co-op will head; what’s certain is that a majority of farmers have made up their minds. 2016 is shaping up as a year of change for Fonterra. 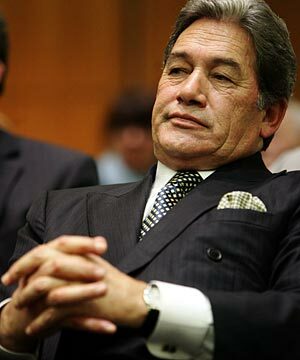 WINSTON PETERS has been at it again, hiding behind the cloak of Parliamentary privilege to deliver another conspiracy-riddled attack, this time on the directors and farmer shareholders of Silver Fern Farms. Last week Peters took a call in Parliament’s weekly general debate to rant and rave about the SFF/Shanghai Maling deal and made all sorts of spurious claims – all the while his sycophant caucus of no-names and nobodies nodding, jeering and gesturing like trained monkeys. It is obvious Peters has neither the cohunes nor the facts to back any of his wild claims outside the House, therefore rendering his argument – much like his entire political career – full of hot air and empty rhetoric. The fact that neither Peters nor critics of the SFF/Shanghai Maling deal will admit to is that 82.2% of Silver Fern Farm farmer shareholders (the owners of the co-op) voted overwhelmingly in support of the deal. Farmers – not the Government – own SFF. During the last days of Government control of the NZ meat industry – in Peters’ heyday of the 1980s – it was an unmitigated disaster. NZ First’s objection to the SFF deal is little more than grubby politics – a deliberate plan to try to mine the 5% of the vote it needs to survive in Parliament, from redneck elements especially in rural and provincial NZ. 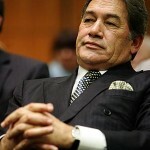 But that’s Winston Peters for you: full of the proverbial and never letting the facts get in the way of the real story. The Shanghai Maling JV not only assures the balance sheet but also brings real value to SFF on many fronts – not least 6000 supermarkets to which the new partner has access in China. SFF farmer shareholders saw this huge potential and hence overwhelmingly voted in favour of the Shanghai Maling deal. That’s because these farmers are modern-day business people who know that in the year 2015 we need to be open and focussed on the world – especially Asia. They bear no resemblance to a broken-down, one-trick, political pony, well past his prime, stuck in 1985 wanting NZ to close the door against the invading yellow peril!